Purchase a spot for your Stallion on the upcoming 2017/2018 calendar! This Fall we will produce a 2-year calendar featuring the stallions from the 2016 MHAO Stallion Service Auction. But we are only offering 20 stallions for bid. We are 4 months short! 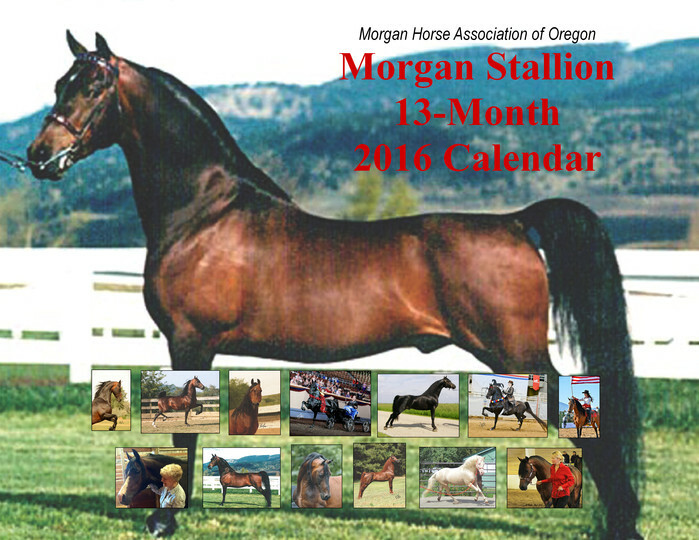 This calendar will be sold to Morgan owners, horse enthusiasts, tack stores, stationary stores, etc. to raise funds for our Futurity. 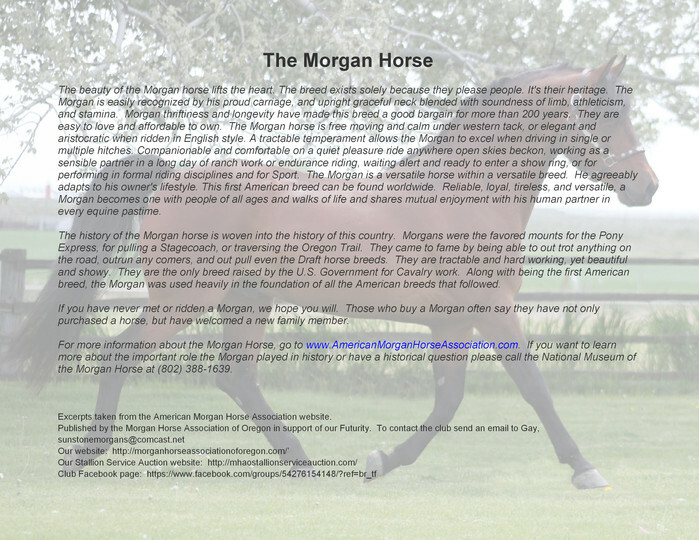 Our goal is to promote the stallions on the calendar and the Morgan breed.